With its shuttered banks, furious public protests and iconoclastic politicians, the plight of Greece's economy, brought to its knees by a crippling debt burden, has been gripping and heartbreaking in equal measure: a full-blown sovereign debt crisis on the doorstep of some of the wealthiest countries in the world. Yet new analysis by the Jubilee Debt Campaign reveals that Greece’s plight is far from unique: more than 20 other countries are also wrestling with their own debt crises and Armenia is one of them. External Debt in Armenia increased to 8595.46 USD Million in the second quarter of 2015 from 8519.52 USD Million in the first quarter of 2015. External Debt in Armenia averaged 3920.82 USD Million from 1999 until 2015, reaching an all time high of 8771.18 USD Million in the third quarter of 2013 and a record low of 1155.60 USD Million in the first quarter of 1999. External Debt in Armenia is reported by the Central Bank of Armenia. According to EurasiaNet.Org columnist Gayane Abrahamyan - "For some, Armenia’s debt picture is conjuring up images of Greece, though admittedly on a much smaller scale. The tiny South Caucasus country’s $4.6 billion in foreign debt is just a sliver of that which EU-member Greece ran up (360 billion euros, or just over $400 billion, at its height), and Yerevan’s predicament has far fewer potential implications for the international financial system. 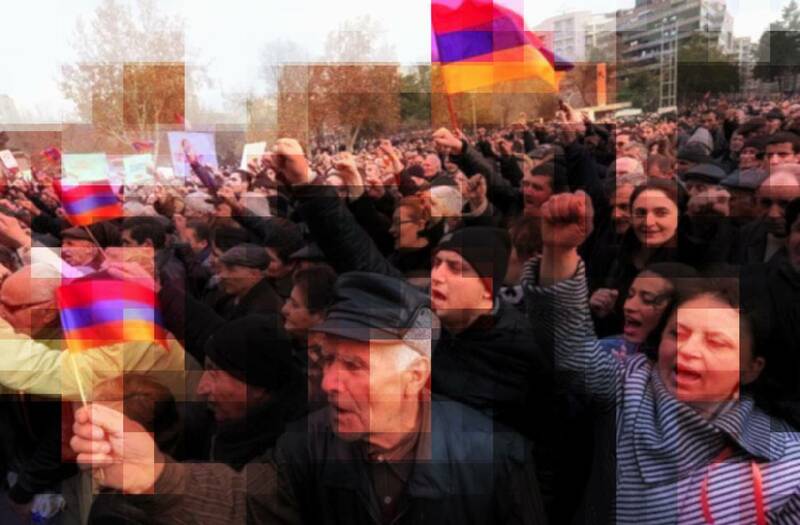 But on a basic level, some observers in Yerevan are questioning whether the Armenian government is following a Greek pattern by using infusions of outside cash to cover fiscal gaps and postpone economic reforms." Armenia is having a transition economy, i.e., Transition countries were mostly affected by the fall in global demand and commodity prices in 2009-2010. As a result of the fall in exports, remittances,and FDI, GDP has slowed down or fallen drastically. Armenia’s foreign debts have increased by roughly 300 percent over the past seven years, and now account for 46.6 percent of its 2015 Gross Domestic Product of over 4.5 trillion drams ($9.63 billion), according to the country’s Central Bank. The International Monetary Fund already has expressed concern about that debt load. At nearly $1.6 billion, the World Bank holds roughly 40 percent of Armenia’s foreign debt, the highest portion, the Central Bank states. The IMF ranks as a distant second, with over $442 million, or about 12 percent of the official total. The Asian Development Bank has provided $300.6 million, or nearly 8 percent of the load. But all these solutions and risk mitigation options cannot be implemented in a year time. Armenia had its time from 2010-2013 to do the necessary deployment of fiscal and monetary stimulus, increase financial sector supervision, and restructuring of structural reforms. But, the country has failed miserably.